At the end of last week, a group of Cuban entrepreneurs returned to the island after completing the InCubando@FIU summer program. Over the last six weeks, the participants have taken basic business and intensive English classes on campus. They also have had an opportunity to spend time with local business leaders who have served as mentors during their time in Miami. "InCubando has been a great experience for me; it has allowed me to identify the stage in which my business finds itself at this moment, and to learn the strategies I need to continue to grow it," said Marta Deus, InCubando participant and owner of Deus Expertos Contables. "As soon as I arrive in Cuba, I will start implementing the skills I have learned here and expect to see them pay off in the next six months." 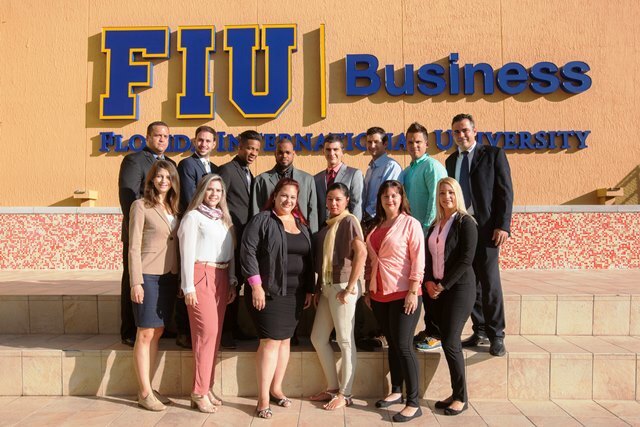 The InCubando@FIU Fellows, all under the age of 40, were selected from a pool of more than a hundred applicants from all over the island. They represent a broad spectrum of the micro-enterprises that have sprouted in Cuba in the last few years, in the spaces of media, fashion design, apparel manufacturing, financial services, and hospitality. "This program was designed specifically to meet the needs of entrepreneurs who have not had the support or the instruction and yet are running very promising enterprises under difficult conditions in Cuba," said Director of the FIU Cuban Research Institute Jorge Duany, one of the organizers of the program. "At FIU and in Miami we have resources and know how that can be instrumental in supporting Cubans on the island as they make their way in this new environment." InCubando@FIU is funded through private donations and a partnership with StartUp Cuba, a project of Roots of Hope, a Miami organization dedicated to connecting with and empowering Cuban youth on and off the island. "Entrepreneurs have always been at the center of life in Cuba, even in the most challenging times. We're excited to help build bridges between entrepreneurs on both sides of the Florida Straits," said Raúl Moas, executive director of Roots of Hope, the nonprofit sponsor of StartUp Cuba. "It is an opportunity for us to support young Cuban entrepreneurs who are already carrying out a real transformation of Cuba." Western Union, a global leader of payments, a lead financial sponsor of the program, also contributed to the curriculum by hosting seminars on leadership, compliance, operations, sales, and marketing at its Miami based regional headquarters. Western Union has a 15-year track record of moving money into Cuba. The company has enabled consumers in more than 30 countries to send money transfers to Cuba, and recently pioneered digital money transfer services into Cuba from the U.S.
"Western Union is proud to be associated with the InCubando@FIU program, which aims to ground these entrepreneurs with global business skills while nurturing their innovative spirit and enthusiasm," said Odilon Almeida, Western Union president of the Americas and European Union. "I was honored to welcome and share Western Union's culture and our way of operations while also sharing some personal leadership values." To view pictures of the graduation ceremony of InCubando@FIU, click here. To see a video interview with InCubando@FIU participants, click here.